Nick Williams shreds Upper Snag at Vail this week (David O. Williams photo). With a couple more shots of snow in the forecast through Saturday and again on Sunday night and still more winter weather on the way next week, Vail and Beaver Creek are extending operating hours for the busy Presidents’ Day weekend and then the rest of the ski season. At Vail, all front-side lifts will remain running until 4 p.m. starting today. Chairlifts in the Back Bowls will run until 3:30 p.m., and Blue Sky Basin lifts will close at 3 p.m. However, season pass restrictions will be in effect at both ski areas Saturday and Sunday, Feb. 15-16, meaning all Epic Local, Merchant and other passes such as Guest Fee and Community Relations are restricted on those days. All premium passes, school employee passes and student passes are valid for skiing and snowboarding on those days. Restricted pass holders can ski or snowboard those days by showing their pass and purchasing a discounted lift ticket at any ticket window. Restricted season pass holders with Lift Charge will automatically be charged the day rate on their credit card when the restricted pass is scanned at Vail and Beaver Creek on Saturday and Sunday. Beaver Creek Resort has lifted season pass restrictions for foot passengers only on the Strawberry Park Express Lift (Chair 12) on Saturday and Sunday. Snowshoe and cross-country enthusiasts can stop by the Nordic Sports Center and pick up a foot passenger ticket to ride the lift and take advantage of the 32 kilometers of trail in mountaintop McCoy Park. For more information about Vail Mountain go to www.vail.com or stop by the Mountain Information Center in Lionshead or call the Vail Mountain Information Center at (970) SKI-VAIL (754-8245). The last peak season parking restriction of the season will also be in place in Vail for one day only on Monday, Feb. 17. For Vail Transit information, call (970) 479-2178; for ECO Transit, call (970) 328-3520; or for parking information, call (970) 479-2104. Steady snow has fallen in small amounts all week at Vail (20 inches in the past seven days) and Beaver Creek (14 inches) and more is on the way in what’s adding up to an above-average season. “One more wave of snow for the northern and central mountains from Friday afternoon through Saturday morning, then dry and warmer on Saturday and Sunday,” Opensnow.com meteorologist Joel Gratz wrote this morning. “Northwest winds picked up overnight, as did snowfall, building fresh wind slabs,” the CAIC reported Friday morning. “As these slabs thicken above tree line and cornices on east-facing ridges grow, they will become very easy to trigger and natural avalanches are likely. Four people have died in backcountry or side-country avalanches so far this season in Colorado, including two on Monday, and heavy mountain snowfall continues to create hazardous conditions. Hickenlooper was briefed this week on conditions by CAIC Director Ethan Greene and Colorado Department of Natural Resources Executive Director Mike King. 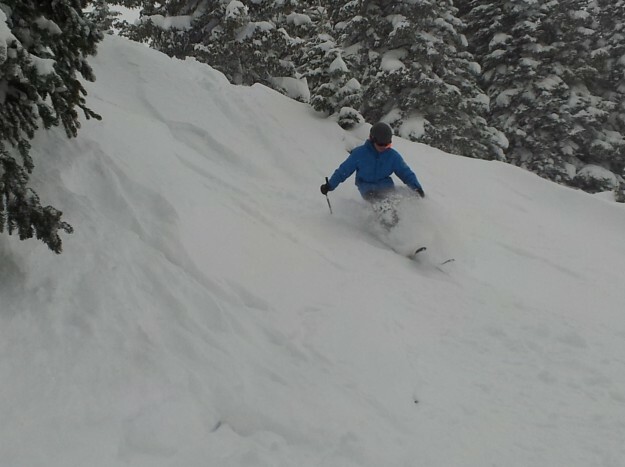 Snow riders need to be cognizant of inbounds avalanche danger as well as the Colorado Court of Appeals on Thursday agreed with a Grand County judge that even inbounds avalanches are an inherent risk of skiing under the Colorado Skier Safety Act.